Happy new year! I wish you all a happy and healthy 2015. My kids just went back to school today, and I had a great day doing some baking while listening to Serial (which I highly recommend). The breads I am developing are still a work in progress. 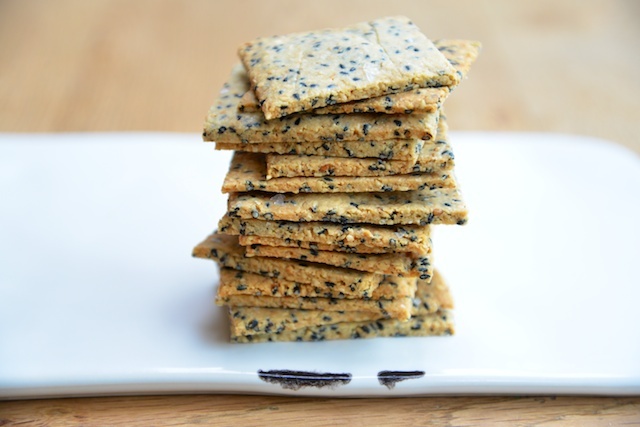 These grain-free crackers, on the other hand, turned out really well. They are tasty enough to eat plain but also perfect as a base for whatever topping you fancy: sliced avocado, bean dip, nut butter, etc. Perfect for an after-school snack. 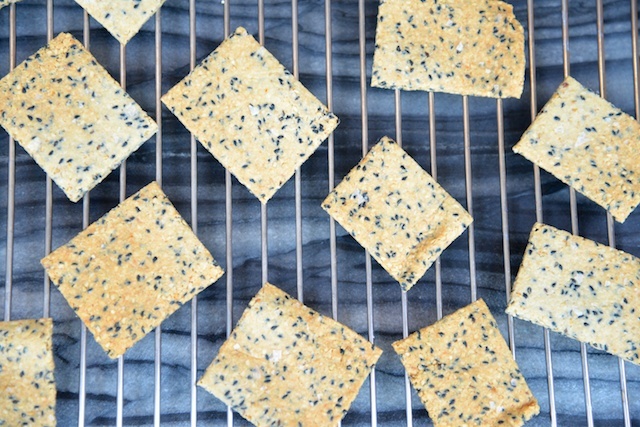 Makes approximately 80 crackers in two batches. Preheat your oven to to 180°C/350°F/gas mark 4. Line a baking sheet with parchment paper. Combine the ground almonds, sesame seeds and sea salt in a bowl. Whisk the eggs and olive oil together, then add to the dry ingredients. Mix well. The dough will be very dry and crumbly. After initially mixing the dough with a spatula, I found it easier to work the dough with my hands until well blended. Divide the dough in two half and set one half aside. Place the other half of the dough on the baking sheet, and cover with another sheet of parchment paper. Roll the dough out thinly between the two sheets of parchment paper. The dough should be evenly rolled out (check there are no holes!) and cover the entire surface of the baking sheet. Remove the top sheet of baking parchment and cut into squares or rectangles with a pizza cutter or sharp knife. Bake for 15 minutes, until firm and slightly browned. Cool, then carefully break apart the squares before serving. Repeat with the other ball of dough, or refrigerate for up to five days before using. I have been trying for months to develop a GAPS-friendly bread recipe. 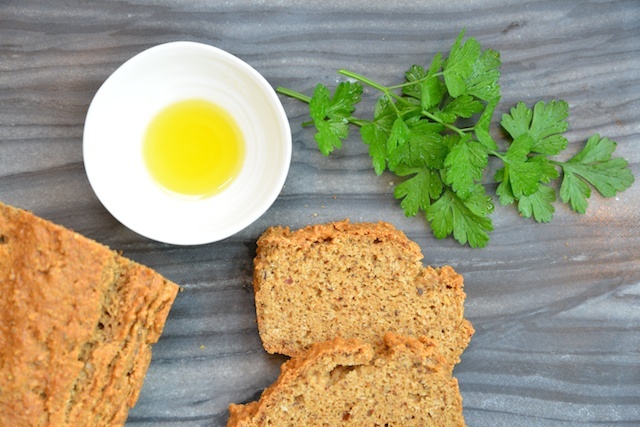 Finally, I remembered a delicious cashew nut bread that I made at a Gluten-Free baking workshop I took a few years ago at Leiths School of Food and Wine, taught by the delightful Adriana Rabinovich of glutenfree4kids. With a few adjustments and a bit of trial and error, I came up with this grain-free version. It is lovely with a bit of sliced avocado, or smeared with honey, or dipped in olive oil, or just eaten plain right out of the oven. Combine eggs and cashew butter in a large bowl and mix well. In another bowl, combine the remaining ingredients. Fold into the egg and cashew butter mixture, then transfer to a lined, greased loaf pan. I use a 25 cm silicone loaf pan greased with ghee (which is casein free), but you could also use a bit of sunflower oil to grease the pan. Smooth the top of the batter with a fork for an even surface. Bake for approximately 35 minutes, then cool on a rack before removing from the loaf pan. This bread is best eaten within 24 hours.